Isaac, a young father, and successful writer, is called home to join his mother and sisters as the family patriarch, Israel, is dying. Leaving home allowed Isaac to find professional success; returning home forces Isaac to confront his personal failures, including his estrangement from his parents and his struggle to avoid their mistakes as he learns to raise his own son. Children of Israel explores the bonds of love, debt, and duty that tie parents and children together. 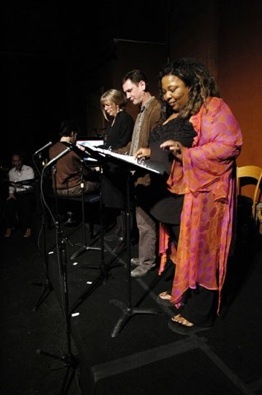 An early version of Children of Israel was workshopped at the Canadian Stage Company in May 2006 as part of the Festival of Ideas and Creation. The workshop was directed by Martin Julien. Neil Bartram was the musical director. The workshop featured the following cast: Thom Allison, Jenni Burke, Mary Ann MacDonald, Sharron Matthews, Jonathan Monro and Ann Mortifee.